How Much Does Lady Gaga's Engagement Ring Cost? Wait, does this look familiar to anyone else? 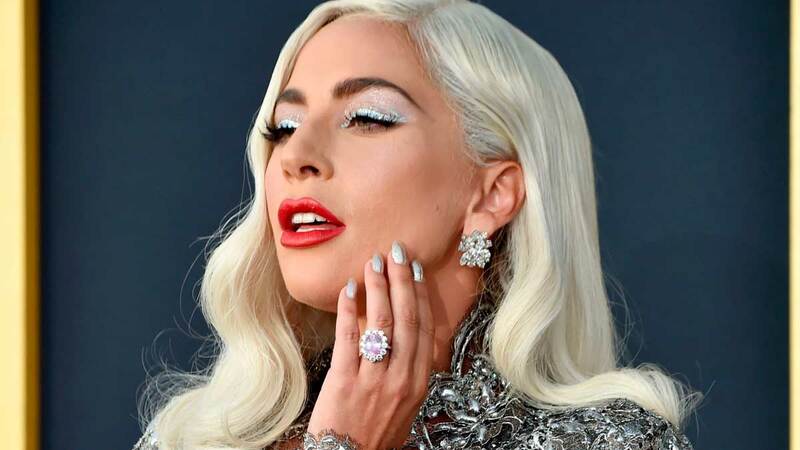 Stop everything you're doing and pop some bubbly, because Lady Gaga recently confirmed her engagement to Christian Carino and TBH I'm always looking for an excuse to drink champagne. The ~thing is~ that reports of Gaga's big news actually first cropped up in November 2017, but because she didn't actually confirm or deny anything, everyone kinda forgot about the news and got busy shipping her and Bradley Cooper—oh, and making A Star Is Born memes. So busy, in fact, that many people failed to notice that Gaga's been wearing an engagement ring for months. And not just any engagement ring. A massive pink rock flanked with diamonds. Good question. This is *not* a pink diamond, but it is a rare type of sapphire. At least according to Andrew Brown, President of WP Diamonds, who told E! that Gaga's ring appears to be a "6-7 carat pink sapphire with a diamond halo totaling 3-4 carats." He also explained that it's "likely a high quality, no heat (treatment), pink sapphire." In other words, it's FANCY AS F*CK. Probably because it looks a lot like Kate Middleton's engagement ring, only pink. WHEN DID THIS THING SHOW UP? Also a good question. Gaga very clearly wore it to the Grammy Awards in January 2018—presumably thinking people, ya know, MIGHT BOTHER NOTICING. AND FINALLY, HOW MUCH IS IT WORTH? Get ready for your eyeballs to turn into dollar signs, 'cause Andrew Brown claims this stunner is likely a rare Padparadscha sapphire, which means it would retail somewhere between "$300,000 (P16.19 million) and $400,000 (P21.59 million)." Damn, Christian Carino. You did good.